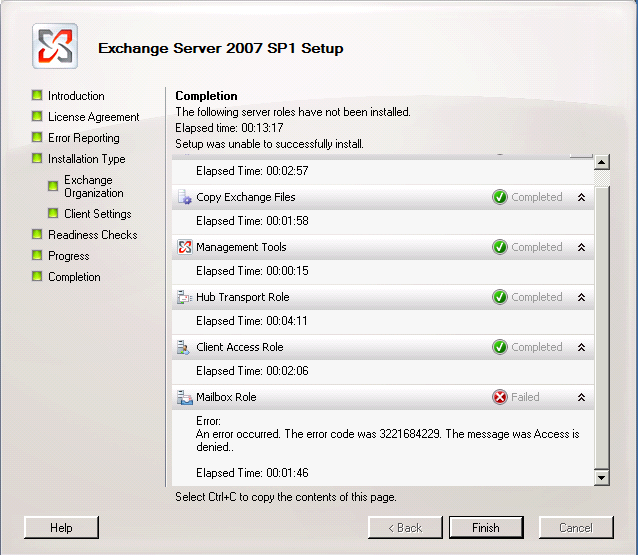 Exchange 2007 (no-SP, SP1 and SP2) isn’t supported on Windows 2008 R2, but since SP3 it is. 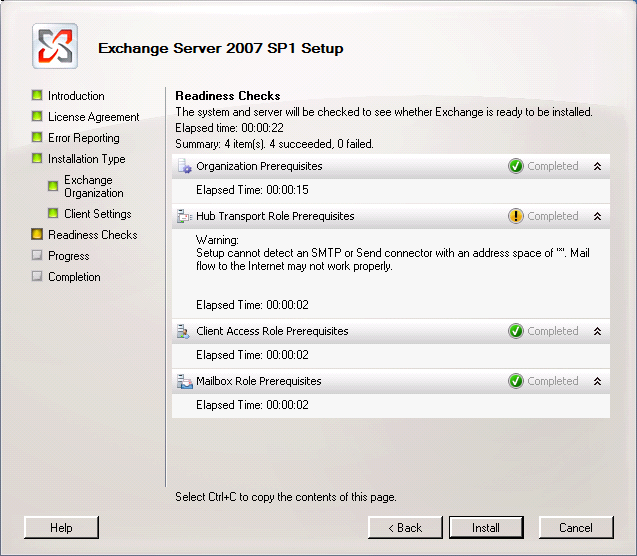 As my installation disc / iso only contains Exchange 2007 SP1 I had to install first this iso and then directly update it to SP3. Installations looks to go well. But first got a warning on the hub transport: “Setup cannot detect an SMTP or Send connector with an address space of ‘*’.”. This warning could be ignored, the only thing we have to do after installation is create a SMTP connector, more information about this read here. To get the Mailbox Role installed we have to set the compatibility mode from the exchange setup.exe to Windows Server 2008 (Service Pack 1) and run the setup again and add the Mailbox Role. After you finished the installation please update Exchange 2007 directly to SP3. Posted in Blog, Exchange 2007, Windows 2008R2 by ronnypot at February 3rd, 2011.